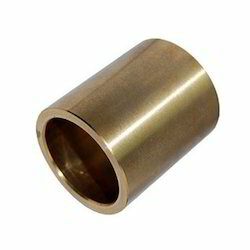 Pioneers in the industry, we offer gunmetal bronze casting, gunmetal casting and self lubricating bushings from India. Our firm is dealing in the manufacturing and supplying of Gunmetal Bronze Casting. The offered gunmetal casting is made from a particular alloy of copper which is mixed with tin and zinc for extra strength and durability. Our offered gunmetal casting is resistant form corrosion caused by steam and salt water. The offered gunmetal casting is widely known for the exceptional toughness and hardness which makes it a popular product in the market. We are humbled to declare ourselves as the manufacturer and supplier of Gunmetal Casting. The offered gunmetal casting is a hard casting, made for the rotor applications. Our offered gunmetal casting is a hard composition of copper, zinc and tin. The offered gunmetal casting is widely used for the rotor applications, as a torque bearing surface. 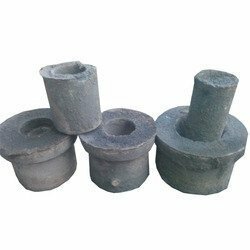 Our offered gunmetal casting is able to very efficiently bear the hard shear of rotor.